With rent reaching astronomical levels across the US, more and more professionals are trading in overpriced apartments for vans, campers, and even sailboats. In fact, there’s a whole community of tech workers who trade tips about living in vans on Reddit. It looks brilliant on paper — some van dwellers are saving up to 90% of their income — but I wanted to know what it’s really like to make a lifestyle change of this magnitude. So I moved into a van. Specifically, a taxicab converted into a “rolling room,” which I found on Airbnb for $50 a night ($39 plus the cleaning and service fees). 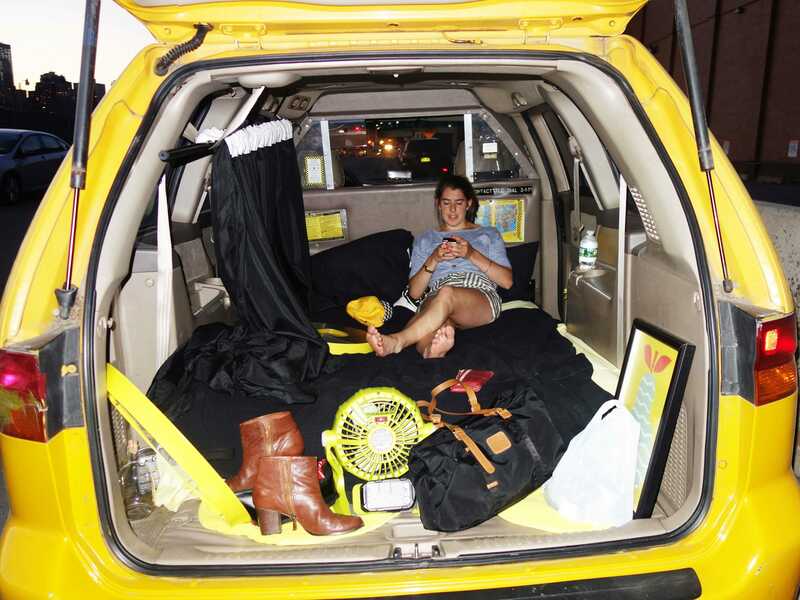 I only spent two nights “living tiny” before happily moving back into my egregiously priced Manhattan apartment — but two nights was more than enough to realise I’m not cut out for van life. Surprisingly, the hardest part had nothing to do with the space (or lack thereof). It was planning ahead. Proper preparation takes more time and effort than I was ready for. Once again, I only did this for two days (not a tall task!) but was shocked with the level of preparation required even for just 48 hours. I typically never worry about my phone battery or stress about the availability of a bathroom because outlets and restrooms are always at my fingertips. Living off the grid in a van forced me to think ahead at least 24 hours. I found myself asking questions I rarely ask on a day-to-day basis: Does my phone have enough battery to last the night? When is the next time I’ll have access to a bathroom? How early should I set my alarm to have enough time to commute home and shower before work? In addition to planning for these little things that are typically a given, you have to plan ways to fill time. After night one, I realised that in order for this lifestyle to work (at least, for me) I’d want to spend as little time as possible in the van, using it exclusively to sleep. My initial thought is that this would be easier said than done — sure, it was easy to kill time for one night, but I imagine planning activities to fill each night would take quite a bit of time and effort. I won’t be joining the van-dwelling community anytime soon … but major kudos to those who are making it work.